The Cragganmore distillery was founded by John Smith in 1869, already a very skillful distiller, managing the Macallan, Glenlivet and Glenfarclas distilleries, who wanted to build his own, signature Speyside distillery. Leasing from Sir George Macpherson-Grant a site formerly used by illicit distillers at Ayeon Farm, part of the Ballindalloch Castle estate, Smith chose the place for the quality of the water of the Craggan burn and for its proximity to the Strathspey railway. John Smith really liked trains. However is was often forced to travel in goods wagons, because of his massive size and weight of about 145 kg. Designed by the famous Elgin architect Charles Doig, the new distillery buildings were hewn from granite-like 'greenstone'. This was quarried from the 1600-foot hill of Cragan Mor, from which the distillery name comes. 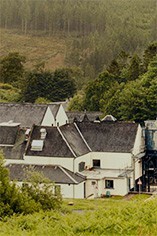 In 1923 the distillery was acquired by White Horse Distillers, which in turn was taken over by the Distillers Company in 1965, that renovated the facilities doubling the production capacity of Cragganmore. It is now part of the Diageo drinks giant. About 30% of the production is sold as single malt, the remaining part being used in blends like McCallum's Perfection and White Horse. This distillery was constructed around 1870 and was the first to have its own railway sidings - a train is depicted on the label in celebration of the fact. 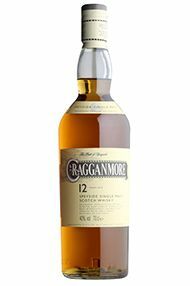 Cragganmore is an aristocratic, complex dram with a dry smoky taste over the sweeter floral notes. 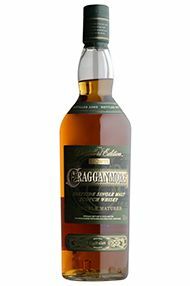 Cragganmore Distillers Edition is described by the distillers as 'double matured'; this involves spending the latter period of maturation in a port cask. The Distillers Edition has a flowery, heather honey and oranges flavours on toffeeish backdrop with subtle hints of madeira wine. For coffee, cigar and chocolate lovers.